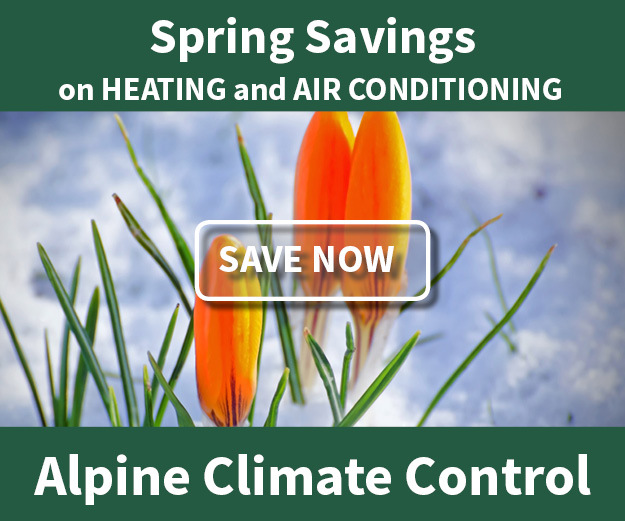 Heating & Cooling - Alpine Climate Control, Inc. Whether it’s installing a new system or taking care of what you have, there’s a lot to consider when it comes to heating and cooling your home or small business. And that’s exactly where Alpine is here to help. For the customer who likes to do their own research, we’ve put together this page to help guide you to the right information. If you prefer to leave it to the professionals, don’t hesitate to simply give us a call! Are you looking for information on a new system or on servicing an existing system? Are you looking for a heating or cooling system? We offer a variety of heating system options to fit any project scale or construction type. Whether you want a basic heating solution for that room that’s always cold or need a comprehensive heating system for your business, we’re here to help. Click on the different heating systems below for more information or to request a free quote. Furnaces – As an industry leader, Lennox is our go-to partner for furnaces and air conditioning solutions, and we have been a Lennox dealer for over 30 years. Lennox has a complete product line for both home and business applications. Geothermal Heating – Geothermal heating and cooling systems are the most energy efficient way to heat and cool your home today. If you live in the country and do not have access to natural gas, a geothermal system can reduce your utility costs significantly. These systems can be installed in existing buildings as well as new construction. Hearth Products – We have a variety of hearth products to fit any purpose. Whether you’re looking for something decorative to improve the atmosphere of a room or a stove to genuinely help heat a room. Our hearth page has a handy guide on choosing the right product for your needs. Ductless Heat Pumps – Ductless heat pumps are a highly versatile option. In addition to providing both heating and cooling, these systems can be easily scaled from controlling the comfort in a single room to being the primary heating/cooling solution for your entire house. These are a great option for rooms/buildings that don’t have ductwork for forced air heating or central air conditioning. Don’t see what you’re looking for? Call us today or set up an appointment for a free consultation. Our team of professionals are here to help you find the best cooling system for your business or home, and we specialize in setting up systems for older homes that lack ductwork for central air conditioning. Click on the different cooling systems below for more information or to request a free quote. Central Air Conditioning – As an industry leader, Lennox is our go-to partner for furnaces and air conditioning solutions, and we have been a Lennox dealer for over 25 years. Lennox has a very complete product line for both home and business applications. Ductless Heat Pumps – Despite the name, ductless heat pumps are actually a highly-versatile option capable of both heating and cooling. This makes them a perfect solution for rooms that get poor air flow off central or window cooling and always end up too warm in the summer (or too cold in the winter). Whole House Fans – Whole house fans are a great alternative to central air conditioning (though they can also be paired together for highly energy-efficient cooling). If you live in an older home that doesn’t have the ductwork for central air conditioning, or if spending the money on a full air conditioning system seems unnecessary given Northern Wyoming’s usual climate, this is a great option for cooling your home. If you are considering remodeling or updating your existing heating and cooling system, start with a free consultation. Alpine’s Comfort Consultant will spend the time it takes to understand your objectives and capture information about your home or business and the existing heating and cooling systems. From there we can recommend an approach and prepare a proposal with alternatives for you to consider. Sizing the equipment properly for your home or business is important to your comfort level and the efficiency of the system. An oversized system can cause problems like an undersized system. We utilize heat gain/loss software and take the time to get it right. There are many products available to fit different heating and cooling needs and situations. We pride ourselves on finding creative solutions to meet your needs.